Choosing the right pathogen testing method can have a big impact on a testing lab. There are many different types of pathogen testing methods on the market. Any independently certified method will be able to reliably identify the presence of pathogen in the sample. So what difference does it make which type of method is employed? There are a number of features of each technology that can impact a lab: cost, time to presumptive result, time to confirmation, complexity of the assay, potential throughput, amount of hands-on time, ability to automate, bench space required, storage space required. When you send your samples to a testing lab, will it make a difference to you which pathogen testing method they use? Yes, it will. Clearly time to result of the chosen method will dictate how quickly you can receive the results. Solus One assays deliver next day results, which can be beneficial in minimizing product quarantine time and enable prompt corrective action following an positive environmental sample. Solus One assays are also able to potentially deliver faster confirmation than molecular methods. However other less obvious features of Solus tests will also impact on the lab’s service level and ultimate responsiveness to you. 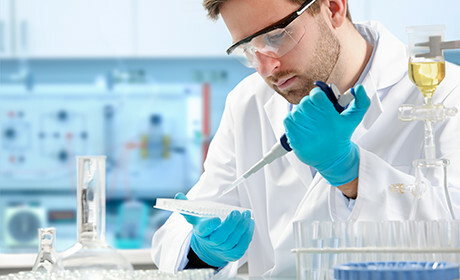 Typically testing labs are managing large volumes of samples which can fluctuate daily. This can be difficult to manage when volumes peak. Using a method that has good throughput enables the lab to cope with changing volumes. A method which requires a lot of technician hands-on time adds to cost and reduces productivity in the lab. Therefore methods that are easy to automate can be high throughput and low in technician hands-on time, making a lab more responsive. Even when a lab is operating 24/7 there will still be pinch points when many activities are happening at once. A method that requires less technician time can help to minimize the occurrence of bottle necks in the process. When the lab is testing large numbers of samples they will be consuming large amounts of testing reagents. Therefore reagent kits that minimize the amount of valuable cold storage space and reduce the volume of waste produced contribute to good organisation and efficiency. A complex method is more prone to human error. This would generally require highly skilled technicians that could result in a more expensive service. Often space is a premium in a testing lab. Any method that minimizes the amount of bench space used helps the lab organise workflow effectively. In conclusion a lab that has all of this under control should be able to deliver the service level that you require. Any lab using Solus Pathogen testing kits will benefit from all of these features. Read about a lab in the UK that switched to Solus kits and the impact that this has had. A recently published article in Food Safety Magazine recently gives some great tips for choosing a food testing lab.